Hello ... Hello ... my old friends ... It's great to see you once again! Here's something interesting. 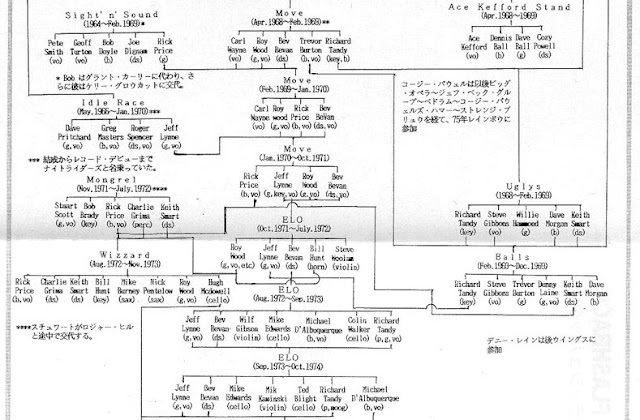 Yours Truly KJS was participating in some research for ELO Beatles Forever [ELOBF] earlier today and, whilst checking out my Japanese import of the 2001 ELO release "Zoom", I re-discovered the above ELO family tree in the additional Sony Japan CD booklet. 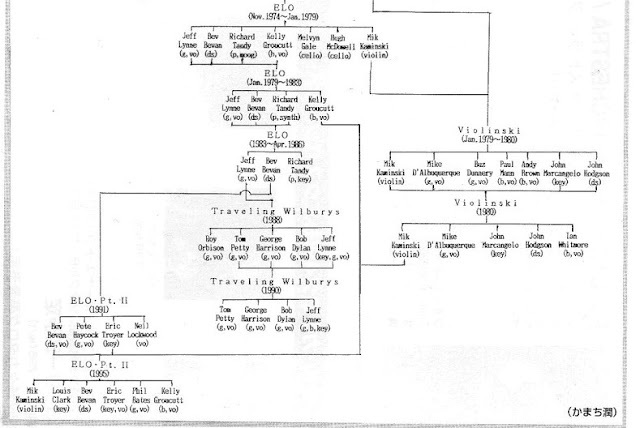 What is interesting is that there is a mention of and the inclusion of ELO Part II therein. It could be the only official ELO release on Sony that actually mentions Part Two at all. 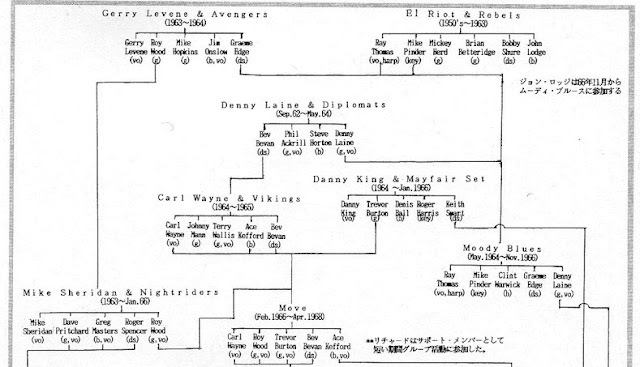 I just thought it of note that the band Bev Bevan founded and led from 1988 to 1999 was mentioned at all! I almost forgot this insert. 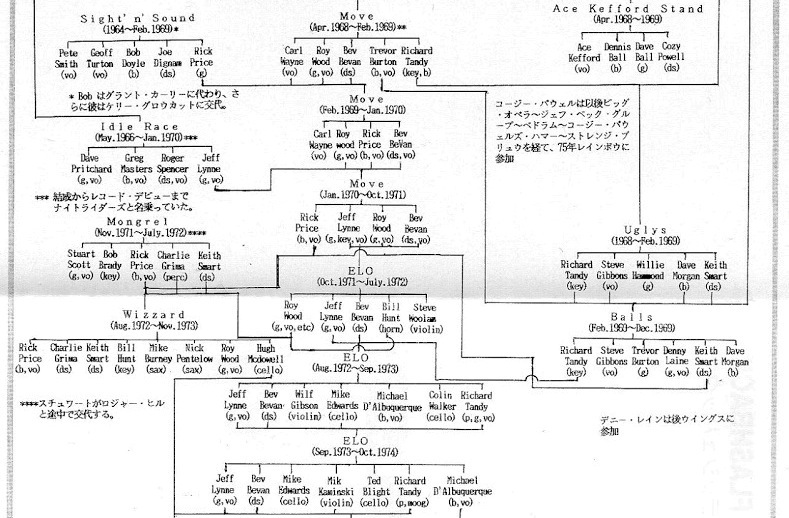 You may know, I also made my effort to make ELO family tree, which was finally issued with Wembley DVD Japanese release. Here is the URL to get it. I tried to update it for long time, although my effort still continues.